One of the most popular colors in the plant world is orange. Fortunately, nature also gives us an abundance of plants that produce orange dyes. Alder trees are common in the United States and across much of Europe. The red alder is exclusive to the northwest portion of the United States. The thin outer bark is grey and typically covered with lichen while its inner bark is reddish-brown. The black alder is also known as the European alder. The grey alder is smaller, reaching a maximum height of just 15 feet. It is the bark of the alder that provides the tannin for dyeing fabrics. It must be gathered carefully so as not to harm the tree; and then boiled in water to release the orange dye. Barberry is a popular landscape shrub because it will grow under most any condition. Barberry shrubs are usually dark red in color and thorny. To achieve a yellow orange dye, mix any growing part of the plant with alum in a boiling water bath to extract the dye. Bloodroot, sanguinaria canadensis, is a perennial, herbaceous flowering plant native to eastern North America. Bloodroot stores sap in an orange colored rhizome that grows shallowly under or at the soil surface. Plants start to bloom before the foliage unfolds in early spring and after blooming the leaves expand to their full size and go summer dormant in mid- to late-summer. To make dye, you will need to gather the rhizomes. They will produce an orange or orange-red dye when boiled in water. Butternut trees, also called white walnut trees, are native to the United States. The Butternut tree has compound leaves that are 15 to 30 inches long. The leaves are hairy and have fine sharp teeth. The fruit of the butternut is covered with hairs that are sticky and oily to the touch. Fruits are single or in clusters of two to five with a hard, thick, deeply furrowed shell enclosed by a thick husk. The fruit of the butternut ripens in September or October and may stay on the tree until after the leaves fall. It is the seed husk that should be boiled to extract the tannins that will create an orange dye. 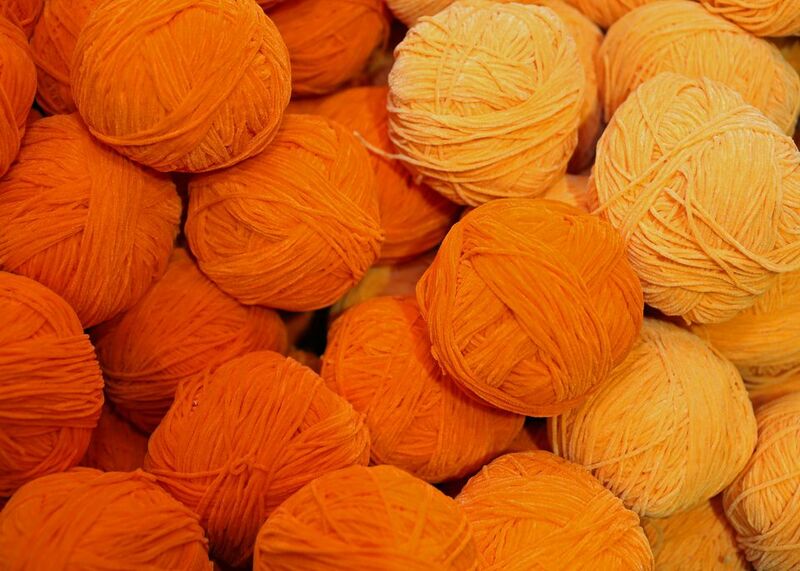 One of the most obvious choices for creating a natural orange dye is carrots. The carrots should be shredded to expose as much surface as possible. It takes about one pound of carrots boiled in water to dye one pound of fabric a rich orange. There are more than 600 species of eucalyptus trees. They are favored for their beauty, their wood, and the oils that can be produced. The bark produces an orange dye when boiled in water. The leaves can be boiled in water to produce a golden tan dye. A native of California and Mexico, the giant coreopsis is a succulent that produces bright yellow daisy-like flowers. When combined with alum in boiling water, almost any part of the plant will produce a bright, permanent orange dye. Most of us think of a light purple when we think of lilacs. But actually, the lilac twigs and bark will produce an orange dye when boiled in water. The dye will be more of a yellow orange but vibrant. Paprika is a spice made from ground, dried fruits of peppers. Varieties of paprika can be found depending upon the type of pepper used. Flavors range from mild to hot and colors range from bright red to brown. The shade of orange dye achieved will depend on the variety and how much paprika you use in a hot water bath. The pomegranate is a fruit-bearing deciduous shrub or small tree. Its roots are in the Middle East but cultivation has spread to many warm, arid areas. It is popular for its beauty as an ornamental tree and for the flavor of its fruit seeds in cuisine and juice. Pomegranate fruit produces a red dye when boiled. However, if you add a bit of alum to the dye bath you can produce orange. Sassafras is the tree that produces the distinct flavor of root beer. A member of the laurel family, just a quick rub of the leaves or a broken twig releases the scent. Its leaves also produce a lovely orange dye when boiled in water. Sassafras can be easily identified by the leaves. They can have a mitten shape, with either a left thumb or a right thumb or be three-lobed. It is not unusual to see all three shapes on one tree. Tumeric is from the ginger family and native to Southeast Asia. The rhizomes of the plant are gathered, boiled, and dried to produce a spice used in cooking. The bright yellow powder can also be used as a fabric dye by dissolving it in hot water. The depth of color can be controlled by the amount of tumeric used. The fabric will be bright yellow if dyed with tumeric. However, by then dipping the fabric in a solution of lye and water, the fabric will turn a deep orange or red. Perhaps the easiest natural plant material to acquire, yellow onions with their paper-thin skin are available in every grocery store. There are red and white onions as well, but for an orange dye bath, collect yellow onion skins. You will need to have a big bag of onion skins to boil in water to achieve a rich orange dye.